Attracting and retaining top talent is critical to a small company’s growth and success, yet recruiting is just one of many hats worn by small business leaders. So how do you find quality talent when it’s a part-time job? Follow the Rule of 100: Recruiting is about the ‘candidate funnel’. 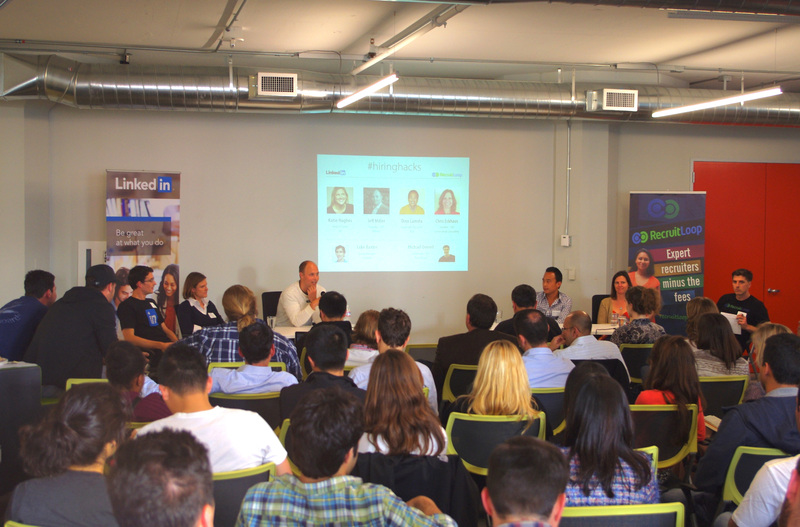 One panelist proposed the following ratio: to get one hire, you have to touch 100 people. You can achieve a candidate touch through email, InMail, calls, and face-to-face meetings - but however you do it, you must scale your outreach. Leave the Office: Get out of the building, tell your story, and network. For example, your next hire could be in the crowd at an after-work meetup event – and if you’re a named speaker at the event, they’ll notice you. Research Your Role: When hiring for an unfamiliar role, make sure you calibrate. If you’re hiring a Head of Sales for the first time, consider meeting with well-respected sales leaders to identify what ‘good’ looks like. Build a Relationship: The candidate experience is critical – especially when competing against bigger companies. As a small company, you can create an advantage by being personal, transparent and flexible. Candidates can sometimes feel ‘lost’ in the recruiting processes of a big company, which can play in your favor. Each panelist shared a wealth of insight, all of which centered on a single theme: building a talented team isn’t just a single task or one-time effort, but a skill that business leaders must develop and practice over time. By integrating the above tips into your routine, you’ll be one step closer to finding top talent and driving continued growth and success. Want more tips on how small companies can successfully compete with larger organizations for top talent? Listen to our recent webinar with Lou Adler.